At the climate conference in Paris in December 2015, 195 national leaders agreed for the first time to limit global warming to distinctly less than two degrees Celsius, and if possible to 1.5 degrees Celsius, compared to pre-industrial levels. One way to do this is to reduce the emission of greenhouse gases. For this to happen, industry must also do its part. Manufacturing processes must be not only economical, but compatible with the environment. Ultimately, the earth should continue to offer livable space to future generations. With trend-setting technical solutions, LANXESS contributes to reducing the emission of greenhouse gases at its manufacturing sites. Successfully: In the past seven years, LANXESS has reduced its direct emissions of climate-damaging gases by almost 50%. From 2007 to 2014 the emissions from the company’s plants decreased from about 3.5 million to 1.76 million metric tons of CO2 equivalents per year. Despite the reduction in CO2 emissions in absolute terms, LANXESS increased the volume of products sold by 100,000 t in the same time period. At the same time, the emission of volatile organic compounds (VOC) decreased by around 30% from 2010 to 2014. 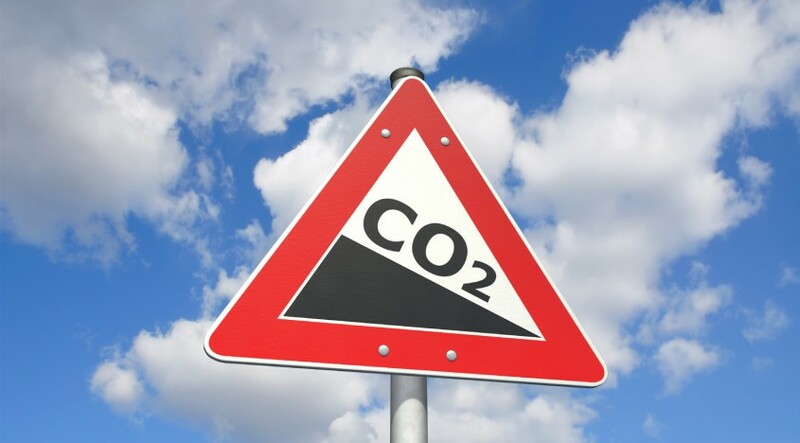 In Germany, the annual emission decreased from 1.89 million metric tons of CO2 equivalents to 0.31 million metric tons. LARA is playing a great role here: With two modern nitrous oxide reduction plants (called LARA for short) at the Krefeld-Uerdingen site, the highly environmentally damaging nitrous oxide (also known as dinitrogen monoxide or ‘laughing gas’) produced during the manufacturing of adipic acid in the amount of about 5000 metric tons per year is completely neutralized. 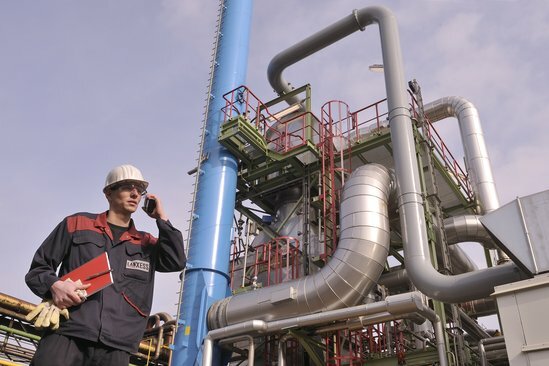 LANXESS is the only adipic acid producer in the world that completely neutralizes its greenhouse gas. 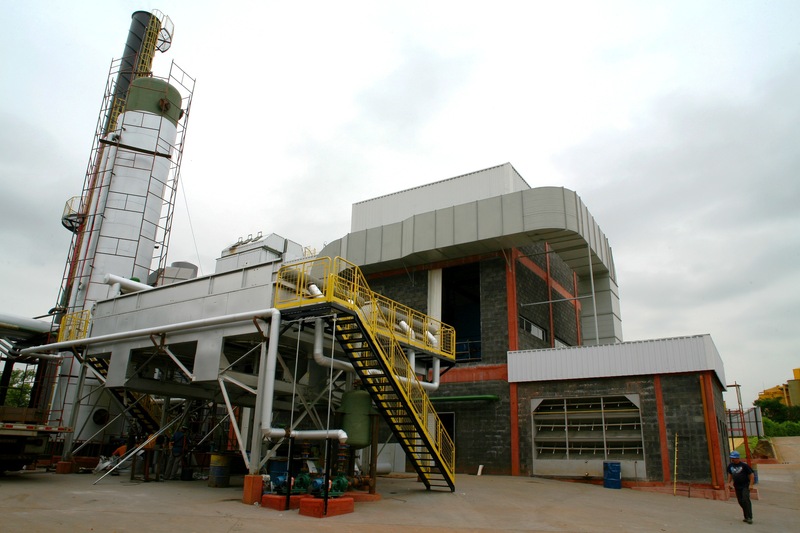 At the Nagda site in India, LANXESS relies on biomass as fuel. Soy is the most cultivated plant in this region. The chemical company therefore uses soybean pods, a waste product of soybean cultivation. It buys the pods directly from local farmers, thus also supporting the local agrarian sector in the region. Energy and steam are generated in a CO2-neutral in a combined heat and power plant (CHP). This means that the power plant only releases an amount of CO2 equal to that consumed again by the renewable soybean plants. 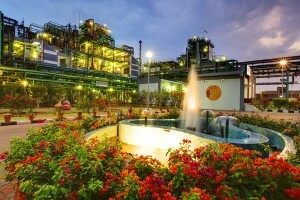 The plant covers about 70% of the demand for steam and almost 100% of the electricity demand. This also greatly improves the CO2 balance: The savings amounts to about 70,000 metric tons of coal per year. With this, the on-site CO2 emissions are decreased by about 120,000 metric tons per year. In Porto Feliz, as well, LANXESS relies on environmentally sound processes: As early as 2004 LANXESS started a fundamental reconfiguration of its manufacturing processes with the so-called Retro-Washing Method. Water consumption then decreased by 44%. In addition, power production in the combined heat and power plant has been completely climate-neutral since 2010 due to the use of a renewable, environmentally-friendly fuel. The electricity and steam generation plant has a capacity of about 4.5 megawatts and an efficiency of up to 90%. 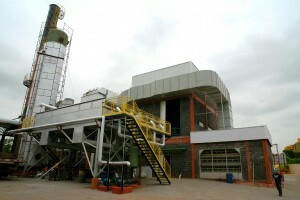 Like the plant in Nagda, it is operated exclusively with biomass. The result: The direct greenhouse gas emissions in inorganic pigment production declined by 69% compared with the base year 2009. 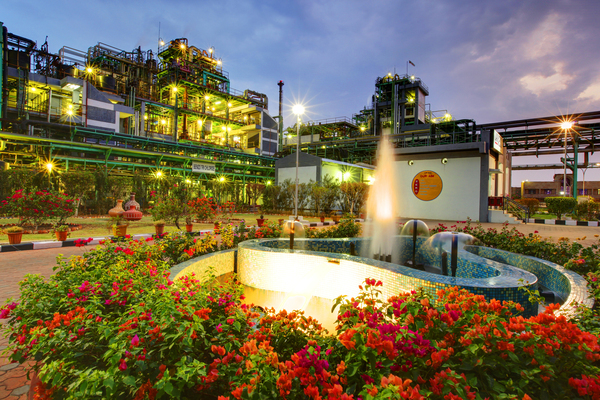 In 2013 the waste generation in the plant was reduced by 44% compared to 2009. 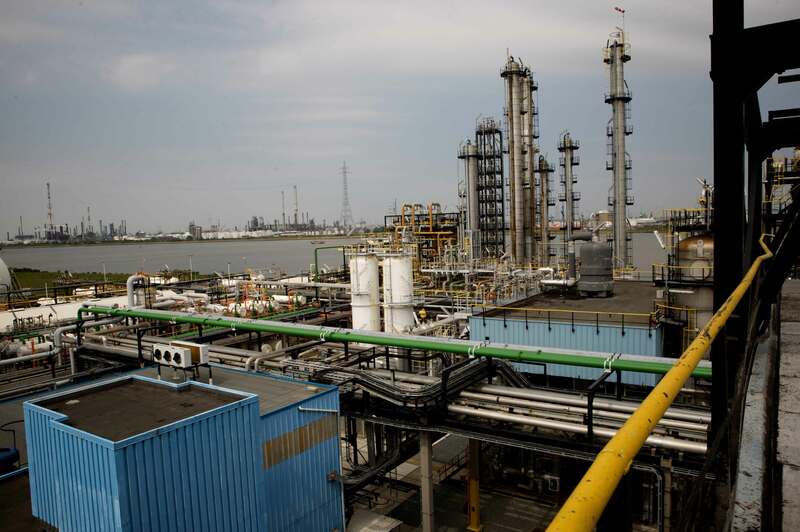 The LANXESS butyl rubber production plant in Zwijndrecht, Belgium, has a block power plant that generates steam and power for the manufacturing process. This highly modern plant is operated with natural gas and likewise operates according to the power-heat coupling principle, which makes high-efficiency energy utilization possible. 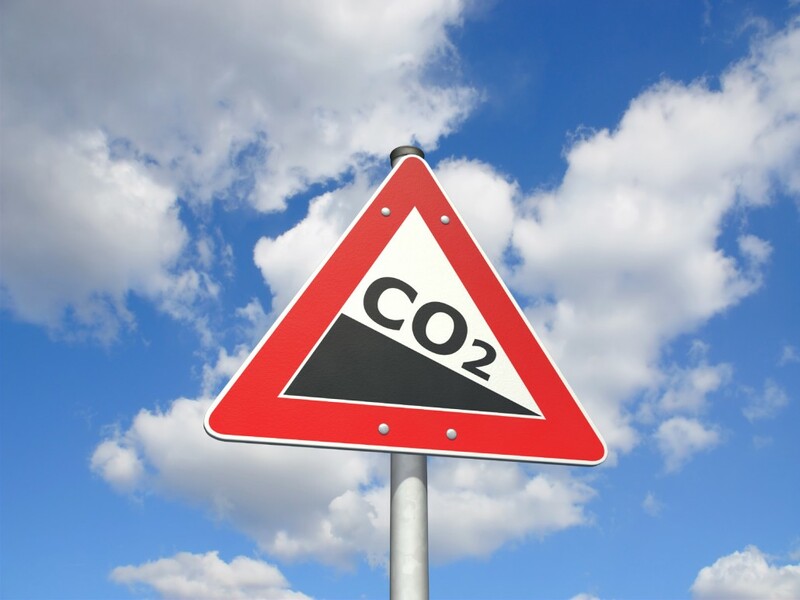 As a result, the CO2 emissions are reduced by about 80,000 metric tons per year. 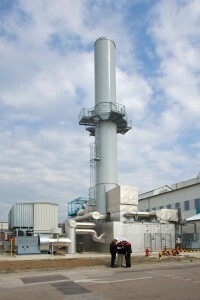 This combined power and heat plant is a joint project with the local power supplier. The supplier operates the CHP with their own staff and guarantees LANXESS a stable supply, which is essential for the manufacturing process. 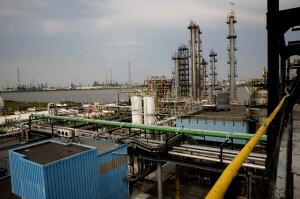 LANXESS has made provisions for cleaner air at its French site in Port Jérôme. There, a highly modern waste-air purification unit is in operation. In Port Jérôme LANXESS produces rubbers primarily for the tire industry. About 130,000 cubic meters of waste air per hour are produced in the manufacturing process, containing primarily rubber particles and solvents in the form of hydrocarbon compounds. This contributes significantly to the formation of ground-level ozone and to the development of so-called summer smog. 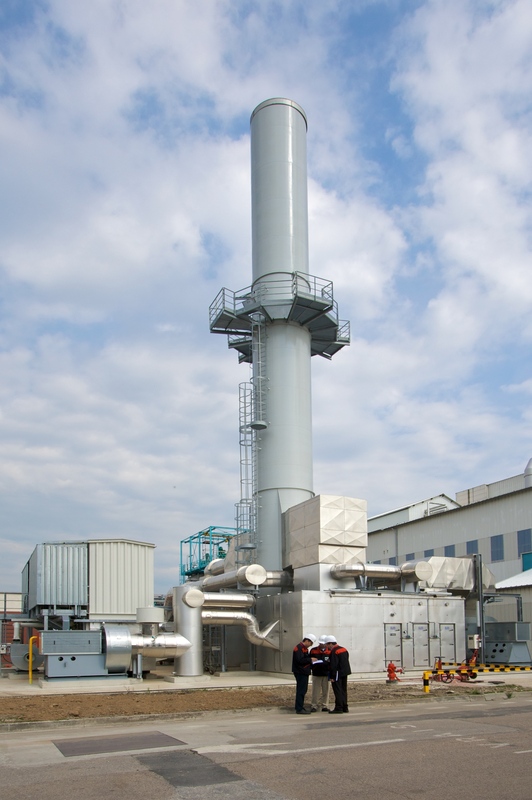 The waste air is almost completely purified by the regenerative thermal reduction unit, with its innovative combustion process. In this process all of the rubber particles are removed and the hydrocarbons are filtered out of the waste-air stream, concentrated, and finally burned. Combustion is accomplished with practically no addition of fossil fuels. This method reduces CO2 emission by about 50%.